SHARE YOUR LOVE OF RUNNING WITH US AS WE SHARE OUR CITY WITH YOU! OUR RUNCIERGE SERVICE FEATURE COMPLETELY CUSTOMIZABLE ROUTES TO THE DAY, TIME, AND SIGHTS YOU WOULD LIKE TO SEE, PLUS THE DISTANCE AND PACE YOU WOULD LIKE TO RUN. OUR GROUP RUNNING TOURS ARE CASUAL, CONVERSATION-PACED ROUTES WITH EXCITING STOPS ALONG THE WAY. WE ENCOURAGE ALL RUNNING LEVELS TO JOIN US. WE WORK WITH YOU TO CREATE A FUN TEAM-BUILDING ACTIVITY WITH AN ORGANIZED GROUP RUNNING TOUR FOR YOUR CORPORATE OR SOCIAL EVENT. 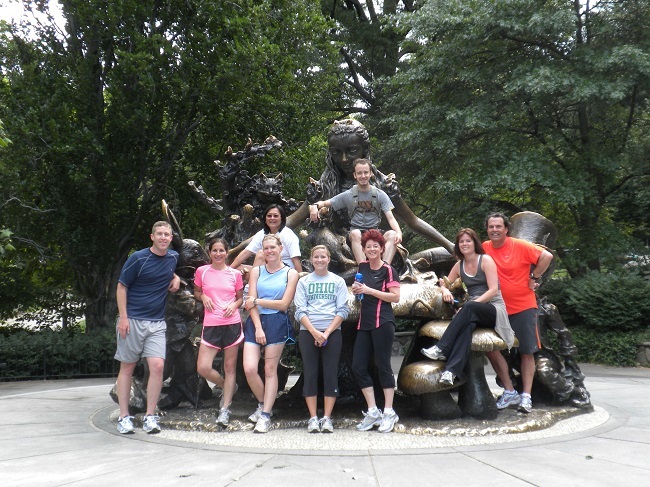 City Running Tours is fully insured and licensed. Tour routes are designed with safety in mind and avoid automobile traffic as much as possible. Our tour guides are professionally trained and carry cell phones to handle any situation.